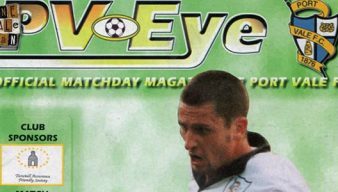 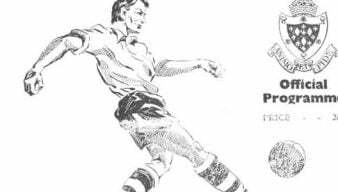 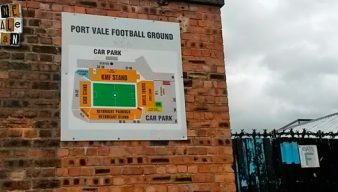 OVF has extensive archives on Port Vale programmes including many images, articles and related features exploring programme history and designs from seasons gone by. 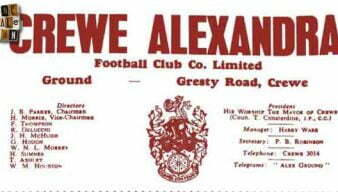 Thanks once again to Stuart Dean, we take a look through the 1959 match programme for Vale’s game against local rivals Crewe Alexandra. 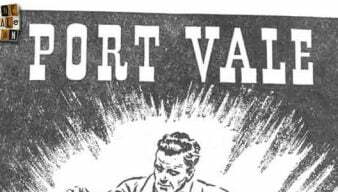 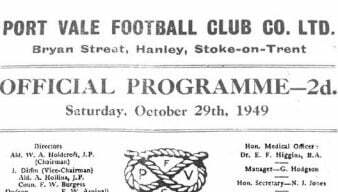 Thanks again to Stuart Dean, we can have a look at Stockport’s programme for the visit of Port Vale in 1952. 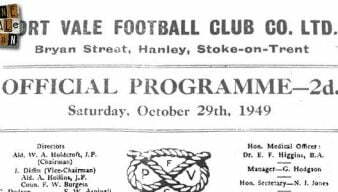 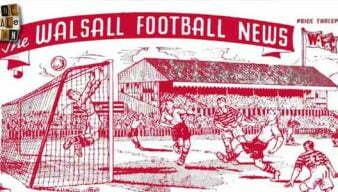 Thanks again to Stuart Dean, we take a leaf through the pages of the programme from Walsall’s game against Port Vale in 1949. 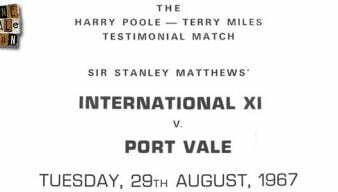 Thanks to another vintage programme kindly submitted by Stuart Dean, we can look at the matchday tribute to Vale legends Harry Poole and Terry Miles as they take part in a joint testimonial game. 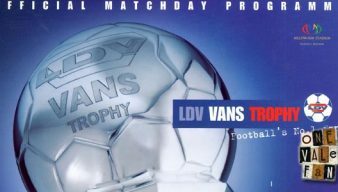 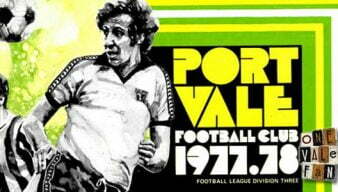 We are delighted to produce one of the most significant match programmes in the entire history of Port Vale FC. 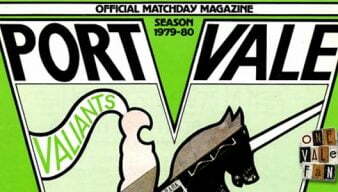 We take a look at an 1977/1978 Port Vale home programme for a Division Three fixture against Peterborough on October the 22nd. 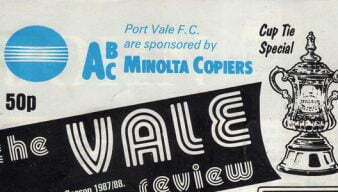 We take a look at an 1979/1980 Port Vale home programme for a Division Four fixture against York City on April the 19th. 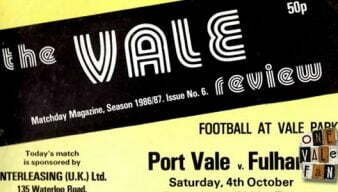 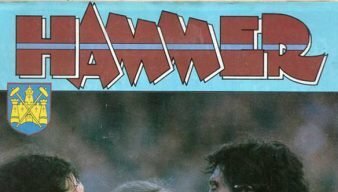 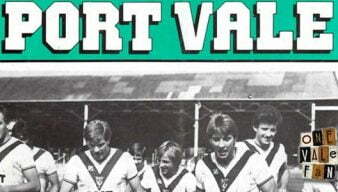 We take a look at an 1986/1987 Division Three programme between Port Vale and Fulham. 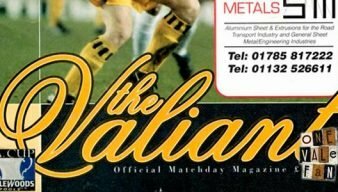 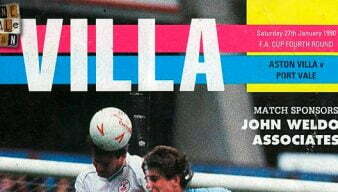 We take a look at an FA Cup programme featuring Vale’s FA Cup 5th round replay against Leeds United.